If it was easy to become a professional poker player, believe me the world would be full of such people! However, if there is one card game that can often take a lifetime to master it is poker, and not every player is going to have what it takes to become a professional poker player. There are of course some people who can very quickly take to playing poker, and will have the type of mind that is best suited to playing it optimally and strategically, but for most other people the only real way that they are going to master playing any poker game variant is through a lot of hard work. 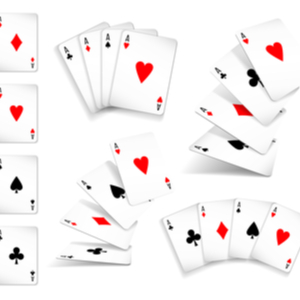 If you strip poker back to the basics of the game it is all about mathematics, for players have to make an often snap decision as to their overall chances of winning, dependent on just which cards they are holding. Playing poker Is not just about Texas Hold’em Poker, for there are lots of different variants you can play in most playing environment, and whilst that is the number one game played anywhere in the world, just keep in mind that you may be best suited to playing some other variants. As such I would urge you to consider playing, initially in a free play playing environment, a range of different poker game variants, for believe me when you do you are going to quickly discover if there is another variant you much prefer playing to any other. Also, professional poker players are only going to play the exact type of poker games with the playing structure they are familiar with, and have the best strategy for playing, and they can include pot limit games which are low risk games, no limit games which are obviously very high risk poker games and there are also plenty of poker tournaments too. Many players will find that it can occasionally be by bluffing that they can win a pot, or any number of poker games, however bluffing when playing poker is an art form, and certainly not something you should do continuously. Without a shadow of a doubt the only way to win lots of poker games is for you to be dealt out the strongest value hand in the game you are playing, but that doesn’t necessarily mean of course that you need to get dealt out a Royal Flush constantly, which isn’t going to happen any way! By learning how to value the odds of your initial pocket cards winning, and then being able to readjust your win odds as each card is then dealt out to the community cards, you are always going to be playing like a professional poker player. So, my best tip if you do want to start playing like a pro is to become something of a maths head, and take a deep rooted interest in working out the winning chances of every hand dealt out to you and that could be formed with the community cards, as that is the only way you are going to win consistently over the long term! It is not only going to be by working out the odds of each hand you have been dealt out winning or losing any poker game, you do also need to know just which betting and playing decisions you need to make too. Obviously bluffing is one thing you need to master, but always keep in mind that whilst you could win when bluffing, if you bluff with a very low valued hand your actually chances of winning if one or more players call your bluff when doing so will be small! Folding a hand can often be very hard to do if you have a fair amount of chips committed to any pot, but believe me the most professional poker players always know the best course of action is to fold when they need too. Calling a hand and also raising any hand is something you will be doing when playing poker, but there is always going to be a good time to call instead of raising or raising instead of calling, and most like every single other aspect of playing poker, you do need to know when to make either playing decision! One final thing to be aware of is that unlike when you play poker in a land based poker room, if and when you choose to play poker online, you do have the choice of just which players you sit down and play against on those cyber tables. If you do not like the opponents you are sat playing against then you can always move to another room, and that is something you should be prepared to do if for any reason you are uncomfortable playing against any player or players. 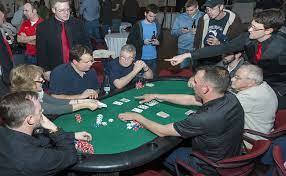 There are also tools that poker players can use to track and monitor how other online poker players play, and it may be worth taking a look at some of those tools, as by doing so and making use of them you can see how a players does then to play there is a good chance you can use that information to increase your winning chances. But finally just be aware that no one is going to become a professional poker player overnight, it can take years, decades or even a life time of playing experience for a poker player to master playing poker and finally becoming a professional poke player!